It's not just rising sea levels. A warmer planet means drought, extreme weather and raging wildfires across Middle America. The future of American energy will shape the future of our climate. That's clearer now than ever, as researchers link the greenhouse gases pumped into our atmosphere to the Earth's increasingly severe droughts, floods and extreme weather events. 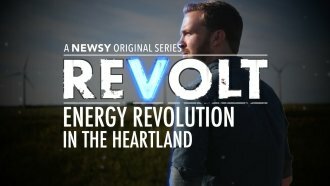 Our new series "Revolt" explores these issues in a fresh context that's focused on Middle America. This is the first of six episodes that will debut weekly every Monday.